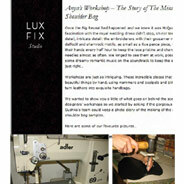 We've found a new site we're crazy about; LUX FIX. 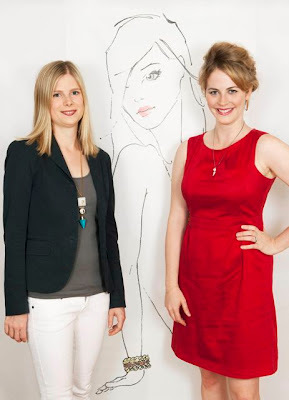 Rebecca and Alice formed the site last year, after they saw a real lack in 'something different' and fashion discounts that were really worth it for the lady consumer. Too much mass market, not enough exclusivity. Rebecca is a digital marketeer (hence the beautiful site) and Alice was in investment banking (I'd imagine this has a lot to do with the brands nack for finding a bargain). To join LUX FIX you need to apply through the site and await approval - after that you are privy to two things: 'exciting flash events' and 'limited edition exclusives.' They work with brands from twenty8twelve, Daisy Knights and Sara Berman - flash events always start at 12pm, and you use your 'points' to be included in one. The more you take part on the site, the more points you build - it's very clever.